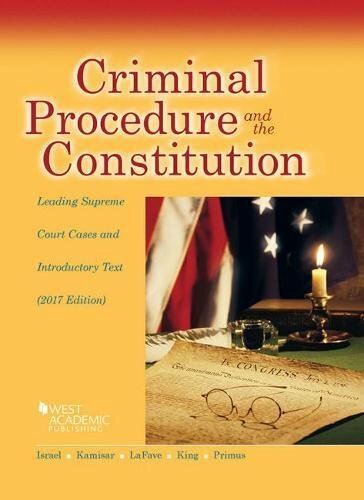 1683287924 -This title is the work of nationally renowned experts on the subject of constitutional criminal procedure. It is ideally suited for a survey course designed to explore and critically examine how the U.S. Supreme Court has dealt with a wide range of highly controversial issues that arise at various stages of the criminal process. Considerable effort has been made to set forth the views of all members of the Court in landmark and important recent cases. The modest size of this volume has been attained not by collecting snippets of many opinions, but by the judicious selection of leading cases. An outstanding feature is the illuminating introductory commentary that appears throughout the book and place the selected cases in general historical and doctrinal perspective.